The Pikes Peak Celtic Festival blossomed from an old tradition in Colorado Springs. 1999 marked the last year of the Pikes Peak Highland Games. In 2013, we brought this festival back under the new name-Pikes Peak Celtic Festival. The Festival field will be filled with the sound of Bagpipes, the smell of fish & chips, the sight of world champion Irish dancers, and events/activities for every age. Come out to see the massed bagpipe bands of the Western United States Pipe Band Association. 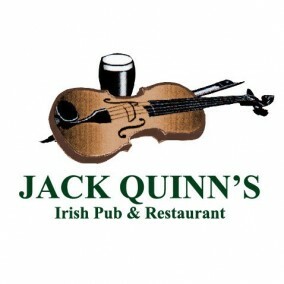 Come see world renowned Celtic Rock groups. See and learn tradition Irish and Highland dancing. Taste the best in Irish and Scottish cuisine. The Pikes Peak Celtic Festival will be the main attraction of the year. 2. No Weapons Other than Prior Authorized Displays or culturally relevant regalia. 3. Dogs are allowed but must be properly licensed with the Humane Society of the Pikes Peak Region and the owner must sign a waiver prior to entry at the gate. *** The festival maintains the right to expunge anyone from the festival premises for being over intoxicated, inappropriate, rude, or violating any festival rule or City Ordinance. Colorado Springs Police Department will be readily available for any issue that may arise. Close in parking is available on the museum grounds and is available for a fee. Shuttle transportation will be available to assist you from the lots to the festival area if you need. ADA Parking is available exclusively in the parking lot.